Блюз малышки / Baby Blues. 2008. HD. - 28 Января 2018 - KinoSalon. 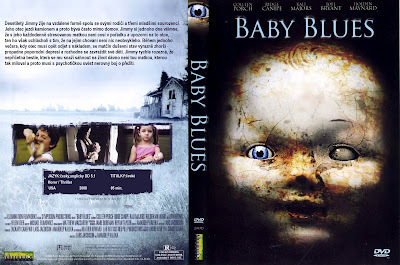 Главная » 2018 » Январь » 28 » Блюз малышки / Baby Blues. 2008. HD. This film may remind The Night of the Hunter, not only because of the same theme of a kid fighting an adult and trying to protect siblings, but also for the quality of suspense, directing and acting. The frightening atmosphere and violence of Haute Tension (High Tension) is also there. Corn fields at night have been used in many films, and here again in a scary chase. There are in fact, many individual elements that have been seen elsewhere, such as Mom breaking the door with a chopper, similar to Jack using an axe in The Shining, and more that I will let you identify easily. But it would be a mistake to think that the director/writer has just stolen ideas from other films of this category. He has made a terrific job, because more than in many of these films, the story is actually believable. It says during the opening that it is based on actual events. It is possible, even if it cannot be the exact story as shown in the film. For all those who enjoyed the masterpieces of terror that I mentioned, and to which it can be compared, I strongly suggest to watch it. Directors: Lars E. Jacobson, Amar Singh Kaleka. Cast: Colleen Porch, Aiden Kersh, Ridge Canipe, Sean Johnson, Holden Thomas Maynard, Kali Majors, Joel Bryant, Gene Witham, Tanner Ethan Todd, Chip Lane, Noelle Monteleone, Jeffrey Hill.